You should now be logged into the Iris Openspace home screen. You will need to click on your name (to view your personal files) or your company name (to view your company files). 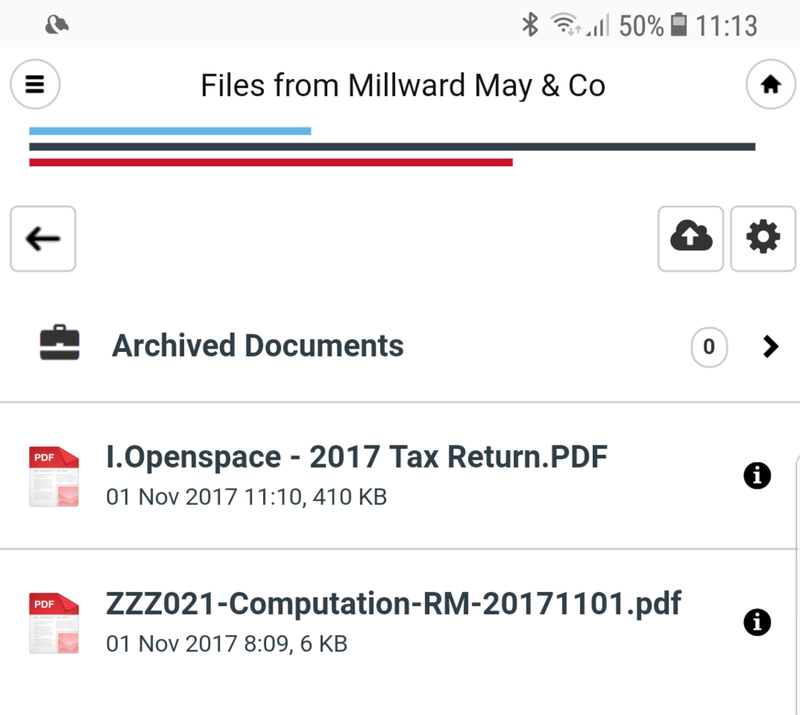 To view Miss Iris Openspace's files we click on "Iris OpenSpace" on the home screen and then click on "Files from Millward May & Co" on the Iris Openspace screen. You will need to select the ‘i’ symbol on the right hand side of the document you wish to approve in the Files from Millward May & Co screen. 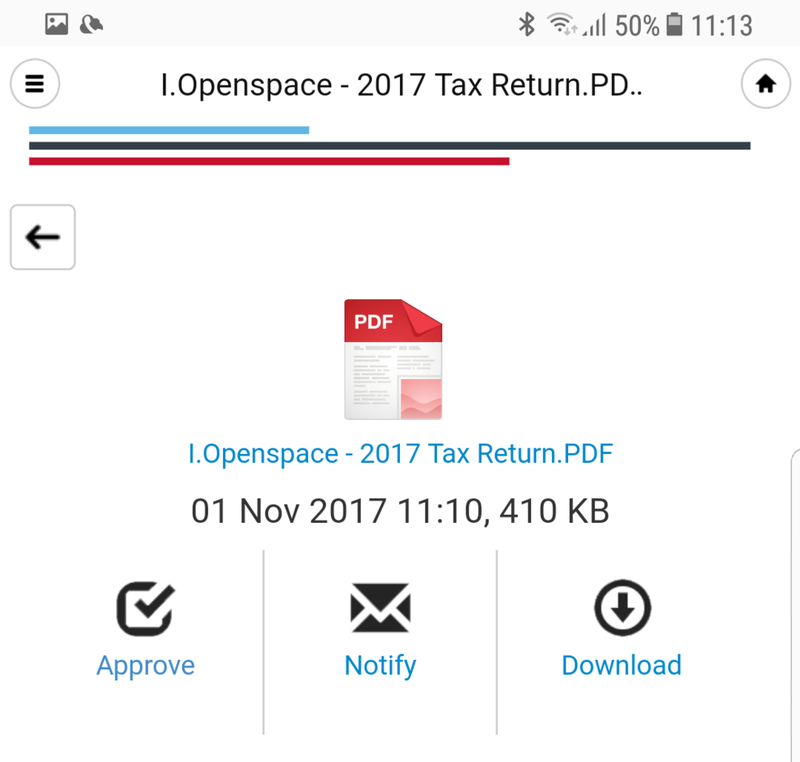 Click on the name of the file that you wish to approve to download and view it to make sure that everything is in order. If you are happy to approve the document, click 'approve'. Click 'approve' again on the approve screen and you will be returned to the previous screen where the document approval option should now show a date of approval.